Lock in a great price for Hilton Garden Inn Chattanooga/Hamilton Place – rated 8.8 by recent guests! The staff was great we stayed at a terrible hotel the night before with no hot water and the clerk had our room cleaned as quick as possible so we could get in and get a shower. They went out of their way for us. The staff was just so friendly, especially the ladies running the breakfast area. On the ball! Very comforting when we arrived. We did not wait for anything. We were greeted quickly. This hotel was absolutely outstanding. The beds were so comfortable and the price was a little high but it was worth every dollar and I would highly recommend this hotel. Best hotel I’ve stayed in. The staff was friendly and helpful from beginning to end the facility was so clean aand check in was smooth aand easy. The staff and manager were friendly and extremely helpful. They quickly switched us out of the handicap assessable room that we didn’t need. The whirl pool was everything! And the bed was so comfortable.. Best birthday weekend ever! 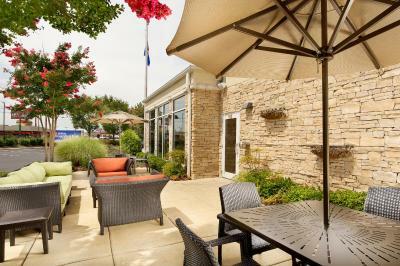 Hilton Garden Inn Chattanooga/Hamilton Place This rating is a reflection of how the property compares to the industry standard when it comes to price, facilities and services available. It's based on a self-evaluation by the property. Use this rating to help choose your stay! The Hilton Garden Inn Chattanooga/Hamilton Place is located near some of the area's main points of interest. Hamilton Place Mall, Tennessee's largest shopping center, as well as historic Civil War battlefields and a variety of recreational activities are all nearby. Modern amenities, including wireless internet access and in-room microwaves and refrigerators are standard at the Chattanooga/Hamilton Place Hilton Garden Inn. Guests at the hotel can also enjoy dining at the Great American Grill restaurant for breakfast and dinner. 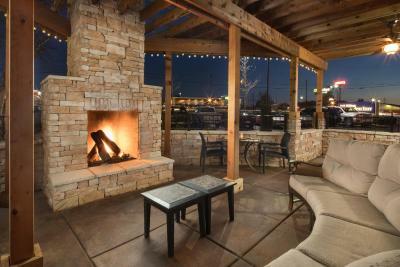 When would you like to stay at Hilton Garden Inn Chattanooga/Hamilton Place? This spacious suite features a microwave, small refrigerator, and cable TV. Coffee-making facilities are also included. This accessible nonsmoking room features a flat-screen cable TV. This nonsmoking room features a flat-screen cable TV and a balcony. This nonsmoking accessible suite features a flat-screen cable TV and shower. House Rules Hilton Garden Inn Chattanooga/Hamilton Place takes special requests – add in the next step! Hilton Garden Inn Chattanooga&#47;Hamilton Place accepts these cards and reserves the right to temporarily hold an amount prior to arrival. Hilton Garden Inn Chattanooga/Hamilton Place accepts these cards and reserves the right to temporarily hold an amount prior to arrival. I felt like the rooms had a strong scent that was trying to cover up a smell of the carpet. Loved the location of our hotel, very convenient! The bedding, pillows in particular were not comfortable. It was nice to come in after a long drive and not have to leave in search of food. Very nice hotel and very convenient to shops and restaurants. Advertised that breakfast was included in the charge but is in addition too depending on the reservation. It didn't open until 7am, had to go.